Dogs are naturally inclined to nest in dens, so spending a few hours in a comfortable crate is not unnatural or cruel. The crate should be high enough for your dog to sit up straight and still have another 6 inches above her head. It should be wide and deep enough for her to turn around comfortably. If it is much bigger than this, she may have accidents in it. 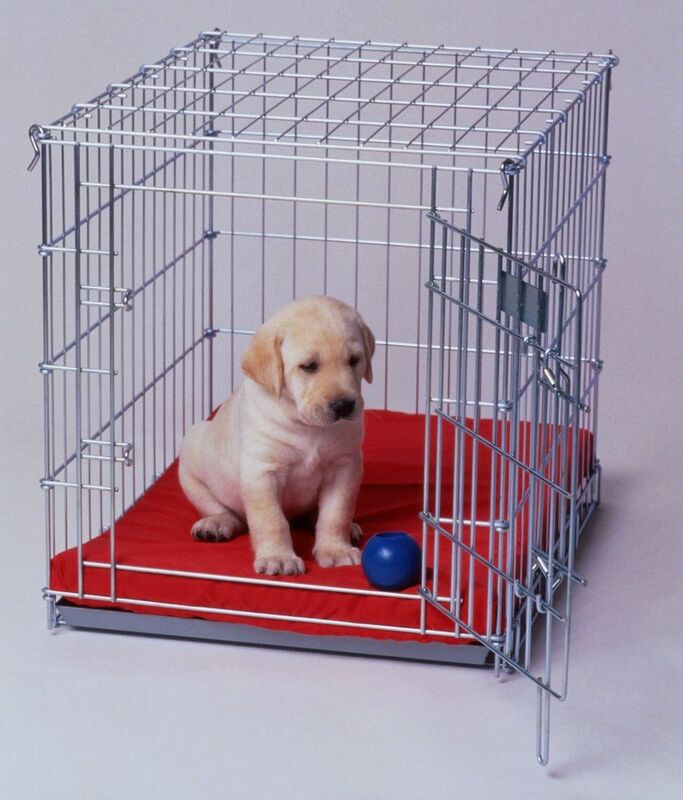 Most dogs prefer that their crate have solid sides, or be covered with a blanket, if it has wire sides. At first, the puppy should be lured into the crate by food, treats, toys, and soft surfaces, and she should be able to go in and leave freely. After she has become used to being in the crate, the door can be shut for brief periods; only a few seconds, to start with. Gradually increase the time she is kept in the crate, and stay in the room with her at first. Work up to longer and longer periods. She should never be left in a crate longer than about 4 hours at a time. If she becomes panicky, can’t calm down, tries to bite the walls or bars of the crate, or is repeatedly having accidents in the crate, it isn’t appropriate to continuing crating her.